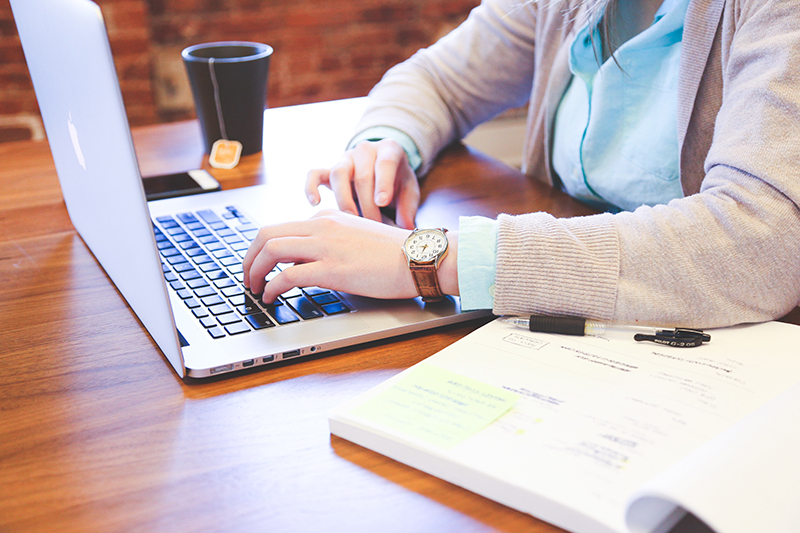 The number of freelancers around the world is increasing nowadays, as well as, hiring freelancers is becoming a more widespread practice among companies. This is because working with freelancers have numerous advantages for companies, for example, these ones. However, in order to meet your goals and get the most out of the project, you need to hire the suitable freelance for your specific project and company. What’s a freelance web designer? A freelance web designer is a self-employed person who designs websites, usually, to businesses. These freelancers are not committed to any company or client and, generally, they work for several clients at the same time. Sometimes these freelancers only design the graphics of the website (UI- User Interface), and in other cases, they do both, graphics and development. In my case, I’m a designer so my main field is UI. However, I want to offer a complete service to my clients so on corporate websites I do both, UI and development. On more complex websites like for example websites like Upwork or Amazon I only focus on UI. 1- Portfolio: The portfolio is the most important when you need to hire a freelance web designer. You should ask them for it. On their portfolio, you should look if there are similar projects like yours in there. With similar projects I mean, websites with the same or similar functionalities as yours and with the same technology. For example, if you want a corporate website in WordPress you should look if this freelance made something similar. 2- Field: The field it’s not a must, at least for me. Since I’m a freelance I worked on different fields (services, products, architectors, advertising) and this was never a problem. 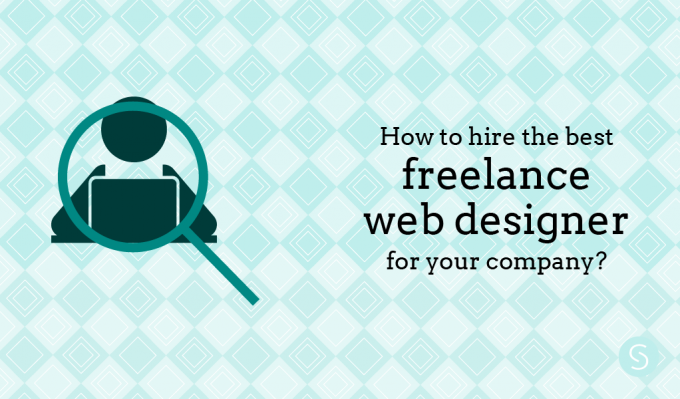 Of course, if a freelance worked in the same field as your company it’s a must. But if you find a good freelance web designer that never worked in your field, I would hire him/her anyway. 3- Proposal: No matter if you are looking for freelances in a marketplace or in google. The freelance will make you a proposal, he/she will explain to you how he/she will make the project, the deadline and the price. Look carefully if he/she is committed and interested in your project. General proposals are not good because it means that the freelance didn’t read carefully your needs. In fact, depending on the project it could be good to have a conversation by skype before hiring anyone. 4- Pay a percentage in advance: It’s a common practice to pay a percentage in advance. Generally, good professionals work with this policy and if you are a committed client you should accept it. This is because the freelance have to spend time and sometimes money to develop and complete a project and it’s not fair that he or she doesn’t receive anything before completing it. A project could take a month or even more!. Besides, it’s a way to show the freelance that you are an honest person and he/she can rely on you. Generally, the percentage is between 30 and 50%. The rest you should pay it at the end of the project. 5- Timing: Good quality takes time. Sometimes people tell me that they want a website in a week. Design and develop a website takes more than a week. The average delivery period is between 3 and 4 weeks. Because you need a website for you and for your specific product and clients. You don’t need a general website that could be good for any business. And this is the key, to make a suitable website for your company takes time because before designing, the freelance should investigate your company’s environment (which is called UX). Among others, the freelance should investigate your company, product, clients and competitors. 6- Local or everywhere: This depends on the project and on you. In my personal case, I always worked with clients around the world. In fact, I never worked with a client in my city. I don’t have any problem with this because I try to communicate my ideas properly and I answer quickly to emails. For this, I use the email and Skype. Of course, sometimes it takes more time to communicate my ideas, but in general, I don’t have any problem. To work with somebody in other city or country you should express yourself very well in writing (most of the time you will write him or her emails). A good tip is to read the email and think that you don’t know anything about the project and your company. If you read it and you understand it, it’s ok. It could be difficult at first, but with practice, you will improve. 7- Different time zones: This is related to the previous one and of course it depends on the project. If your project has a lot of people working on it and they depend on each other, the most logical will be to work with people with the same time zone. However, if your project is simpler, you can work with people around the world. You have to take into consideration that maybe the freelancer will answer you while you are sleeping or out of working hours, but if it’s not a problem for you, go ahead. Ask your fellows: If you have a friend or somebody that worked with a freelancer you could ask him for advice. Marketplaces: they are very famous but you should be careful. In these places, you can find everything, good and professional freelancers but also very bad freelancers. Even people that don’t know how to develop the project but they apply anyway. You should read carefully each proposal and check the freelancer’s profile (or ask him/her for his/her portfolio). Job boards: here in Spain, the most famous one is Infojobs Freelance. In this kind of websites, there are usually good professionals. And you? How do you hire freelancers? I would love to know your opinion from your client point of view!.